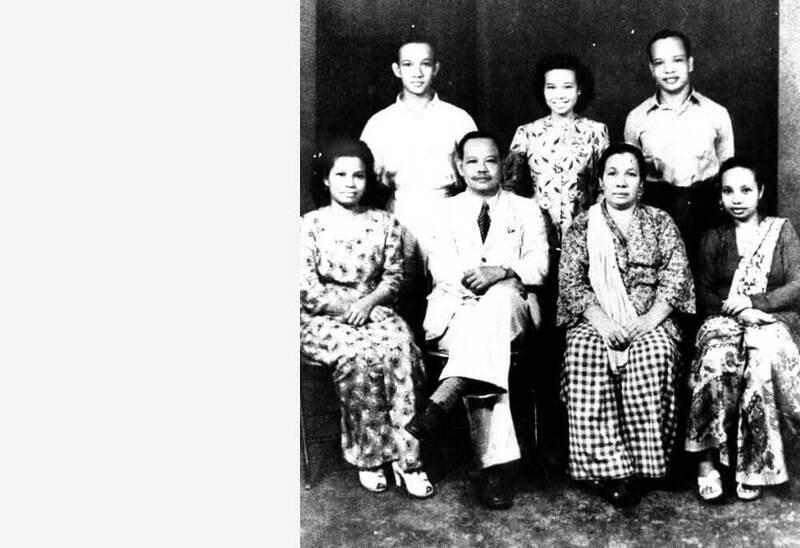 During the 1950s and 1960s, when radio was a major influence in the Malay community, Zahrah Za’ba ruled the airwaves. A multi-talented woman, Zahrah read the news, did live commentary on major local events, wrote scripts, played lead roles in radio plays, produced plays and many other shows – and ran the Malay broadcasting department. One radio play that Zahrah wrote, produced and acted in during the 1950s was ‘Esah dan Keluarga-nya’ (Esah and her family). It was so popular that a bag of fan mail arrived every week for Esah, with some listeners offering ideas for future episodes. 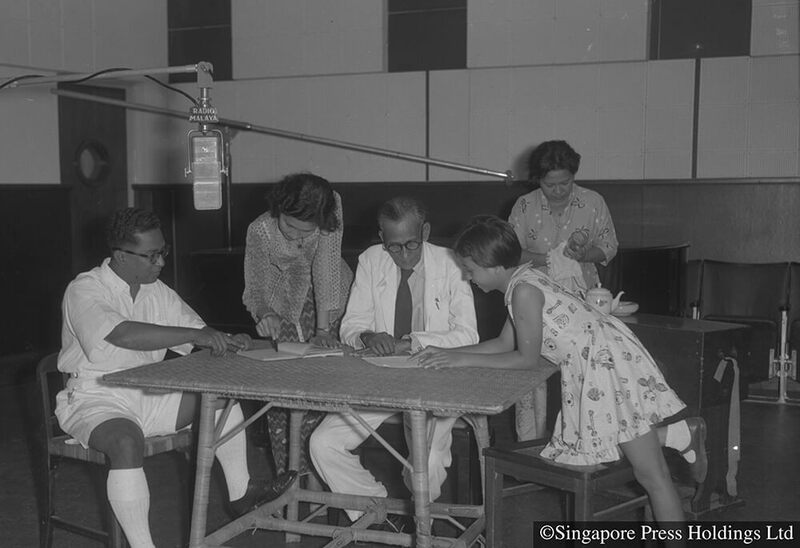 When the team went on recording tours in Malaya, they were mobbed by fans, and at the Singapore radio studios, people would turn up asking to see Esah. After it ended, Zahrah wrote another successful radio play, Keluarga Si-Chomel. Zahrah, or Kak Wah as she was often called, was the daughter of Haji Zainal Abidin bin Ahmad, a literary figure and scholar who laid the foundations of Malay grammar. Educated at the French Convent (now known as Convent Bukit Nanas) in Kuala Lumpur, Zahrah was initially a teacher, the career her parents had identified for her. But she was much more interested in journalism, and after several years of being a teacher, she quietly applied for a broadcasting job and joined Radio Malaya Singapore in 1946. Initially an announcer, she gained experience in producing programmes and in 1955 she was sent to BBC in London for a 6-month training programme. She made full use of this training stint, learning all there was to know about the technical and other aspects of radio broadcasting. In her early years in radio, Zahrah listened to many BBC programmes and was particularly impressed with the radio drama series and soap operas such as The Archers and Life with the Lyons. “I thought that what we really needed was a radio portrayal of a typical Malayan family with their work and ambitions, their quarrels and quibbles, laughter and disappointments. I got down to work, and the result was Esah and her family. Esah is perhaps the commonest name for a Malay girl – a typical Malay girl with tidy plaits, a flashing smile and big, beautiful eyes,” Zahrah said in a press interview in 1957, two years after she launched the programme. It was not just Malays who tuned in to the fortnightly series – people of other ethnic groups also listened to the adventures of Esah and her family. Some used the programme as lessons to improve their conversational Malay. Several recordings were sent to the Malay Studies Division of the University of London to help students who were learning the language. In 1958 Zahrah became the head of the Malay broadcasting department, the first woman to fill the position. She held the post until her retirement in 1974. To her younger colleagues, she was a caring and inspiring boss who helped to build their confidence and their careers. Asmah Laili, who would herself become a well-known radio personality, was taken under Zahrah’s wing when she joined the radio station in 1959. She describes Zahrah as ‘a natural broadcaster who was a perfectionist’. Her knowledge of the radio business was unmatched, and she was generous in sharing this knowledge and her wisdom with her staff. Zahrah, who was married to radio technician Adnan Isa, had six children. Even with the heavy schedule of her radio work and the demands of her family, she found time to serve on a host of professional and community service organisations. 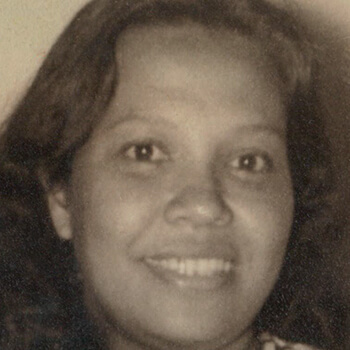 In 1955 she was a founder of the Singapore Malay Journalist Association, which would later become part of the Singapore National Union of Journalists. When her husband retired from broadcasting, so did Zahrah. They moved to Kuala Lumpur and then to Ulu Klang. Zahrah continued to write on an ad-hoc basis for radio and television. She also began work on a long-planned novel, as well as a biography of her father. But in early 1988, as she was on the way to the hospital in KL, Zahrah had a heart attack and died.